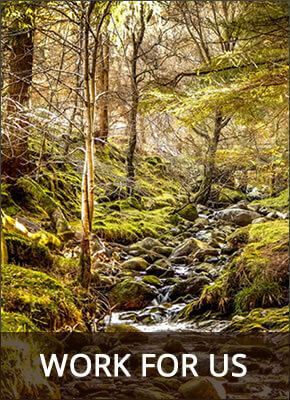 Kippure Estate comprises 240 acres of mature woodland and wilderness separated from the Wicklow Mountains National Park by the unravelling river Liffey. These beautiful surroundings belie the hub of adventure, excitement, learning and fun which have been injected into well thought out facilities, complimented by great accommodation. The name Kippure is long associated with the oldest transmission tower in the Republic of Ireland on top of Kippure Mountain, but you certainly won’t get much time to watch television here at the Estate!! 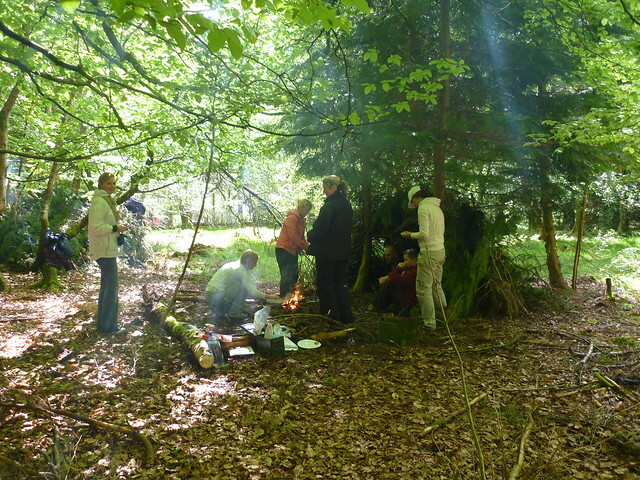 To take advantage of the fantastic, organised activities at Kippure, gather together the family young and old, the in-laws, the out-laws, the pals, their pals, the more the merrier!! Stay in one of our well appointed self catering houses, some of which are built in the former Victorian walled garden or avail of the B&B Guesthouse all within the Estate – you will have a ball! 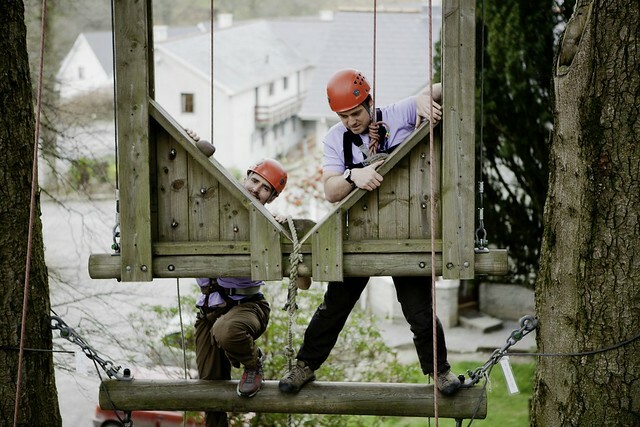 There are activities to suit everybody; get a breathtaking view of County Wicklow on Ireland’s most exciting High Ropes Course and test your mettle with some Climbing and Abseiling. An afternoon on the Sky Trek and Zip Line will leave you buzzing with adrenalin and talking about it for the rest of the day. If Auntie’s vertigo is a problem, she may be safer on the ground with a nature ramble or a guided mountain walk. Test Dad’s map reading skills with some Orienteering (bet he won’t ask for directions) and Mums will be delighted to partake in a Treasure Hunt, they’re great at finding things when you don’t want them to!! 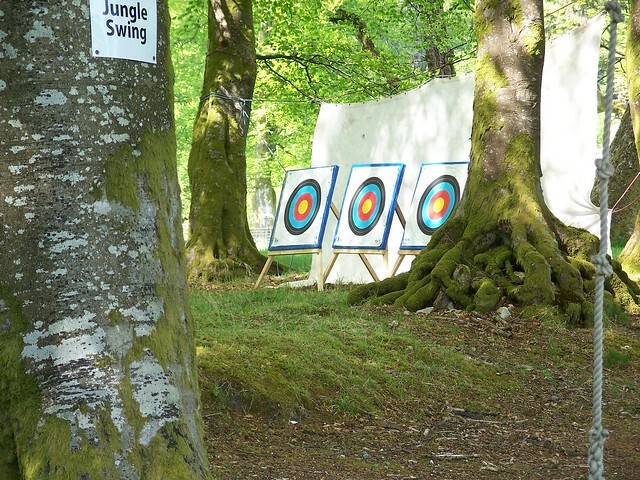 The ultimate eye-hand co-ordination test has to be the Archery; hopefully you won’t inadvertently hit something that could be used on the Rustic Barbecue!! You definitely have to organise a themed evening party when the gang’s together, choose from a Céilí or 70s Disco Night with more besides. 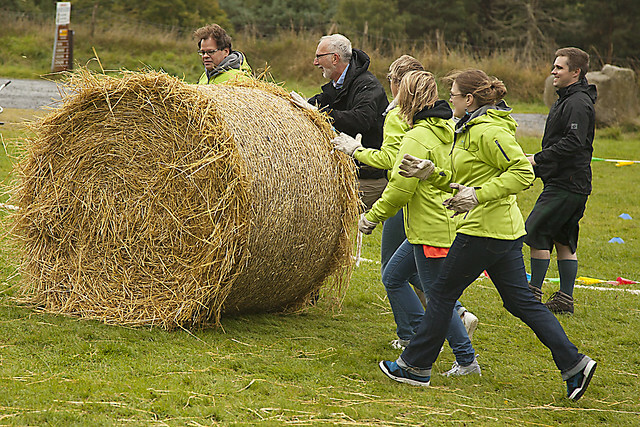 If you can’t get the family to rally around, get the boss to get the staff together for some teambuilding. 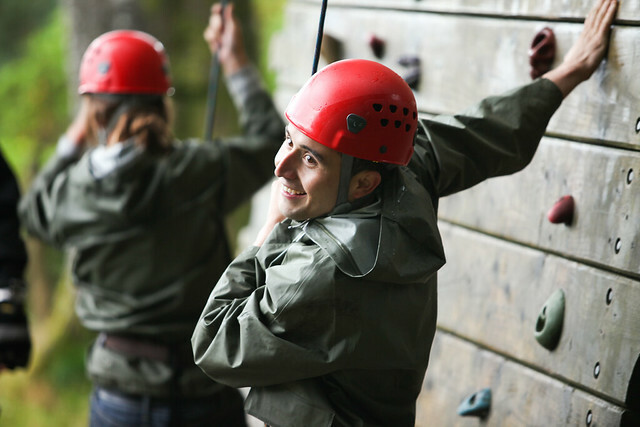 The professional instructors at Kippure will tailor activities to suit the group and their requirements. 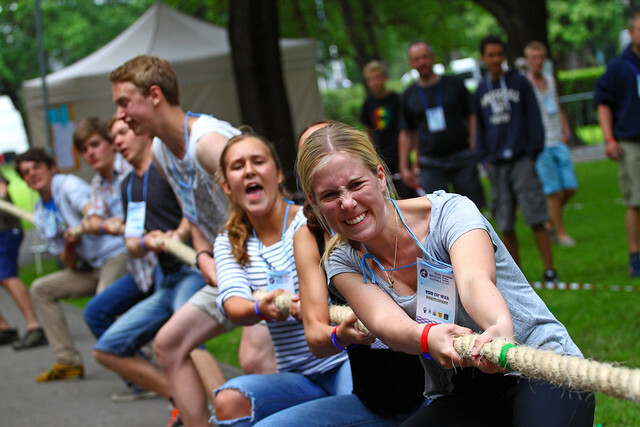 Kids’ summer camps and open activity days are held regularly. Great for fitness, fresh air, fun and excitement, with activities honed to their age and capability!! Even the school syllabus takes an exciting twist with field studies in Ecology and Science carried out by our trained and experienced instructors. These can even be done in Irish if you like! Because of its convenient location, just 45 minutes from Dublin, Kippure Estate is the perfect base for visiting the Blessington Lakes, Glendalough and the many other attractions in Wicklow. However, you’ll do well to find the time when you’re so entertained at Kippure Estate.